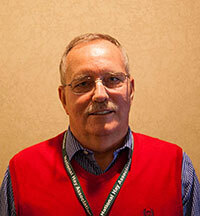 That was the assessment of Jerry Cherney, a forage specialist and researcher with Cornell University, as he addressed hay producers from across the country at the National Hay Association’s Convention in Canandaigua, N.Y., last week. The “different” Cherney referred to was the composition of alfalfa stands. A few years ago, Cherney surveyed crop consultants in the Empire State and found that over 85 percent of the alfalfa sown in New York is done so in combination with a perennial grass. From contacting colleagues in other U.S. regions, he estimates that alfalfa-grass mixtures are something less than 10 percent of all seeded alfalfa. He noted that northern Pennsylvania and New England are probably similar to New York in their preference for mixed stands. 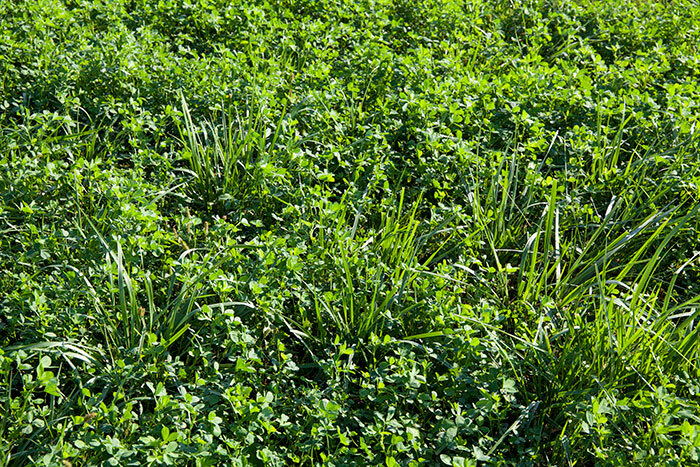 Given that alfalfa-grass mixtures are a mainstay in New York, it stands to reason that a key decision centers on which grass species to plant. According to Cherney, the answer to that question has changed through the years. Always seeking a better mousetrap, Cherney currently recommends meadow fescue based on numerous research trials. “Meadow fescue is consistently higher in quality than tall fescue,” the forage specialist said, referring to performance research completed in multiple states. Cherney emphasized the importance of assessing alfalfa-grass mixtures to make informed harvest decisions and reviewed some of the options available for doing this. Another approach is to submit samples to Dairy One Laboratory (Ithaca, N.Y.). Using an NIR equation developed from samples provided by Cherney, growers can get an accurate estimate of the percent grass and alfalfa in their forage mixtures. This approach works well for samples taken at or following harvest. “What we really want is an estimate before harvest,” Cherney said. “We’re currently in the process of perfecting an artificial intelligence system whereby you can take a picture of the stand with your cellphone, send it off to a web-based platform, and then it will tell you the alfalfa percentage, mixed-stand neutral detergent fiber (NDF), and estimates the optimum harvest date,” he noted. “Multiple photos of the stand are needed and the program automatically averages the results. This exists on the web right now, but the cellphone app still needs tweaking,” he explained. Cherney noted that if the percent of stand components is known, they now are able to accurately estimate NDF and optimum harvest time. When evaluating forage quality, Cherney points to NDF digestibility (NDFD) as the most important metric to assess. Research repeatedly has found that a 1 percentage unit rise in NDFD translates to a 0.5-pound per cow per day bump in milk production. This response may be closer to 1 pound per head per day for high-producing cows. “Unfortunately, grass fiber digestibility declines at twice the rate of alfalfa,” Cherney said. “For this reason, we have to focus on the grass to achieve optimum forage quality. Cherney went on to explain that if you take any grass, regardless of species, and add 5 percent into an alfalfa mixture, that will boost the NDFD 1 percentage unit. In other words, as low as 5 percent grass in a mixed stand significantly changes the fiber digestibility of the harvested forage. This occurs because grass has a much higher NDFD than alfalfa. Cherney noted that with the new reduced-lignin alfalfa varieties, the claim is that you can delay alfalfa harvest about one week and get the same forage quality you normally would with the earlier cutting date. “This benefit keeps going down as you have more grass in the stand, Cherney said. “For example, if you have 40 percent grass, then the advantage is reduced to a three-day delay,” he added. Cherney explained that there are many factors that impact the alfalfa-grass ratio. Before planting, things like soil drainage, soil pH, grass species, seeding rate, soil compaction, and seeding date influence the relative percentage of alfalfa and grass. After planting, soil fertility, stand age, cuts per season, and stubble height will dictate the percentage of stand components. To cite an example of this challenge, Cherney said he has seeded meadow fescue the past three years. The first year he got about 5 percent grass the seeding year. He cut back the seeding rate this year and got 80 percent meadow fescue. “This was a wet spring and summer, greatly favoring grass growth,” he explained. “Somehow we have to get to where we can have more consistency,” Cherney concluded.